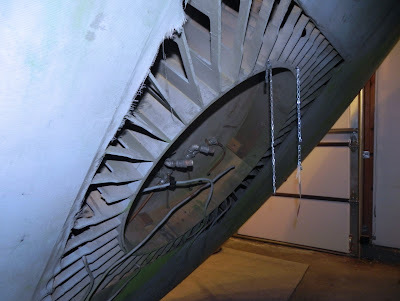 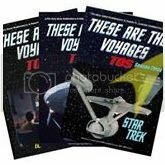 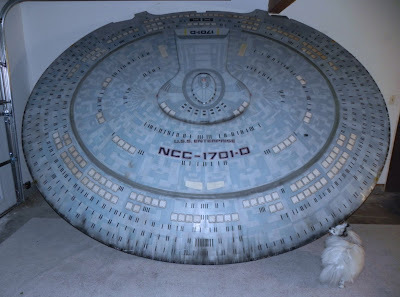 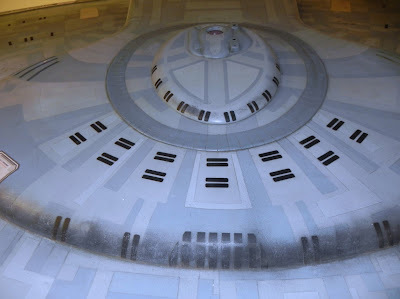 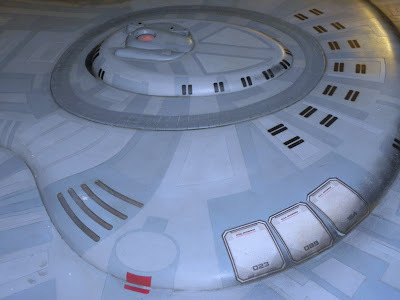 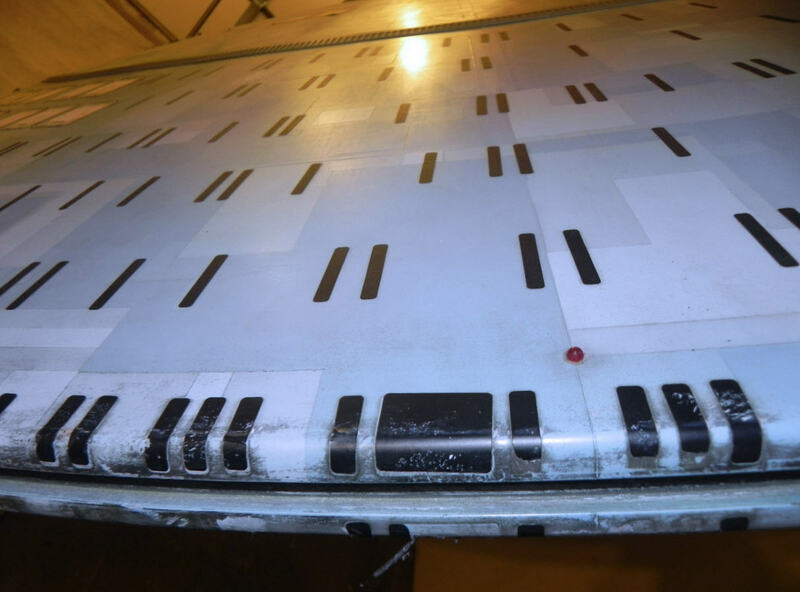 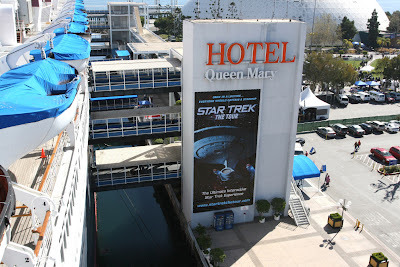 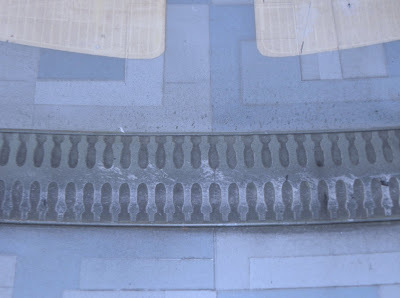 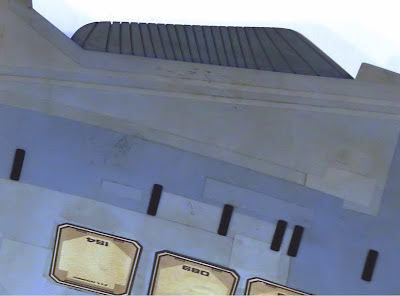 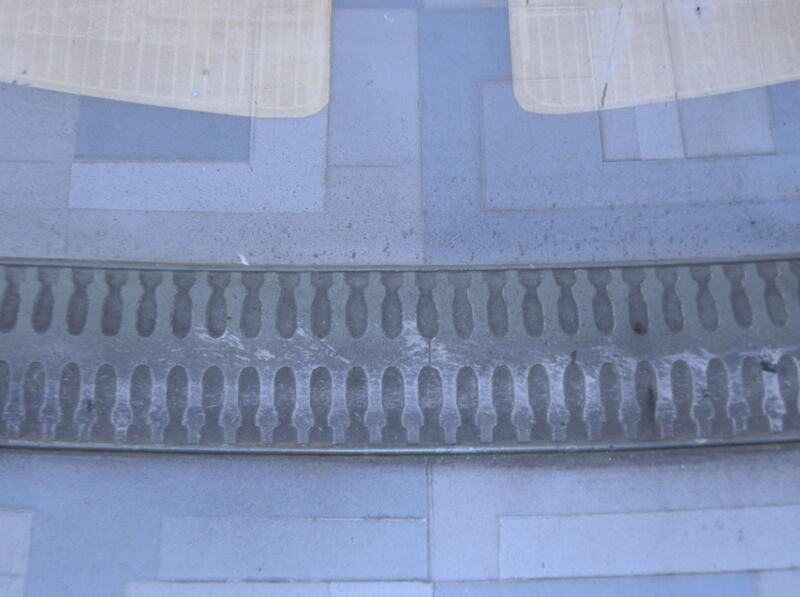 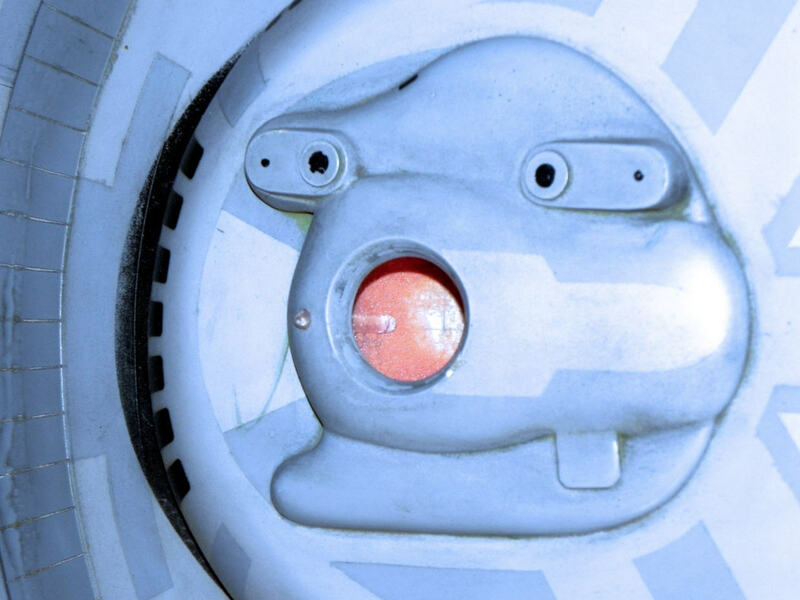 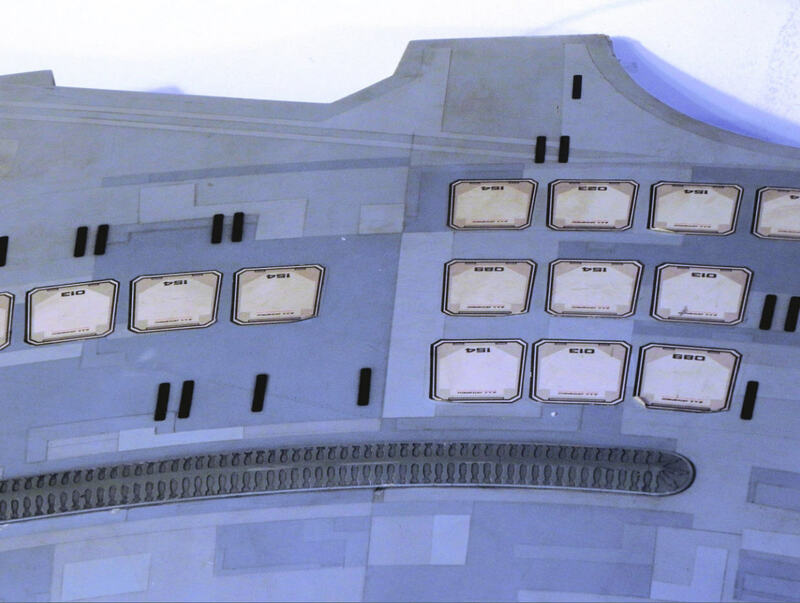 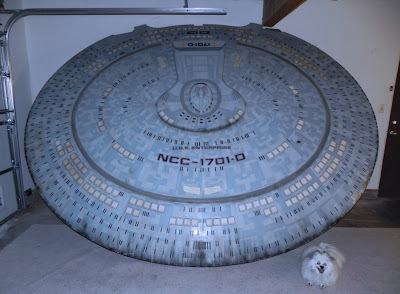 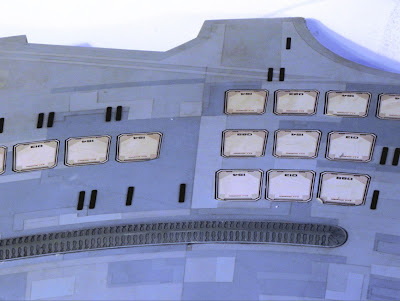 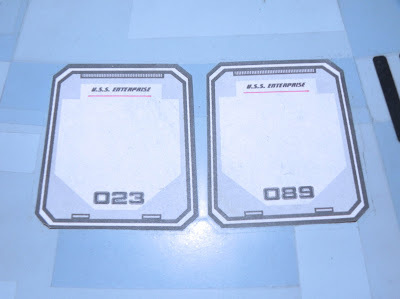 Presented below are some detailed photos of the U.S.S. Enterprise D primary hull or saucer section filming miniature that was created by Industrial Light and Magic especially for the memorable crash landing sequence on the planet Veridian III in the closing scenes of the seventh major Star Trek feature film, Star Trek: Generations, released in November, 1994. 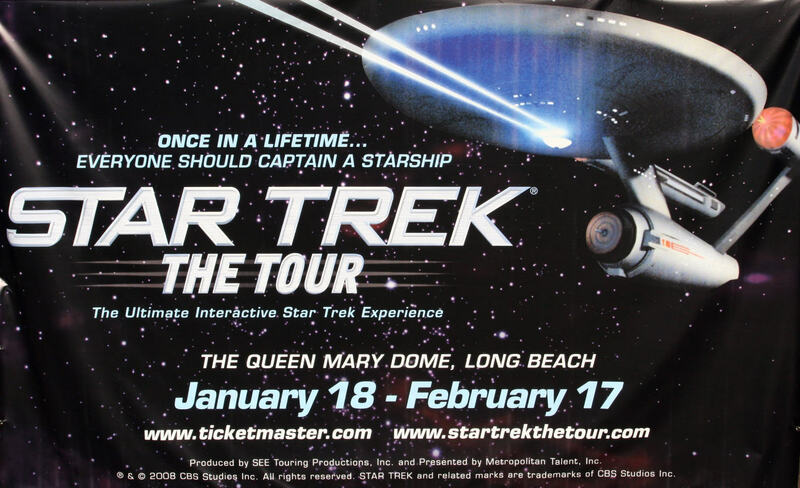 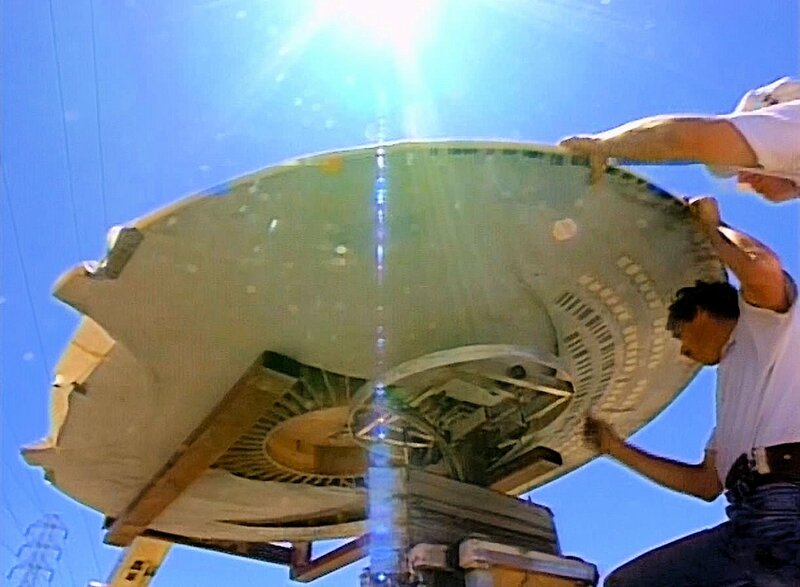 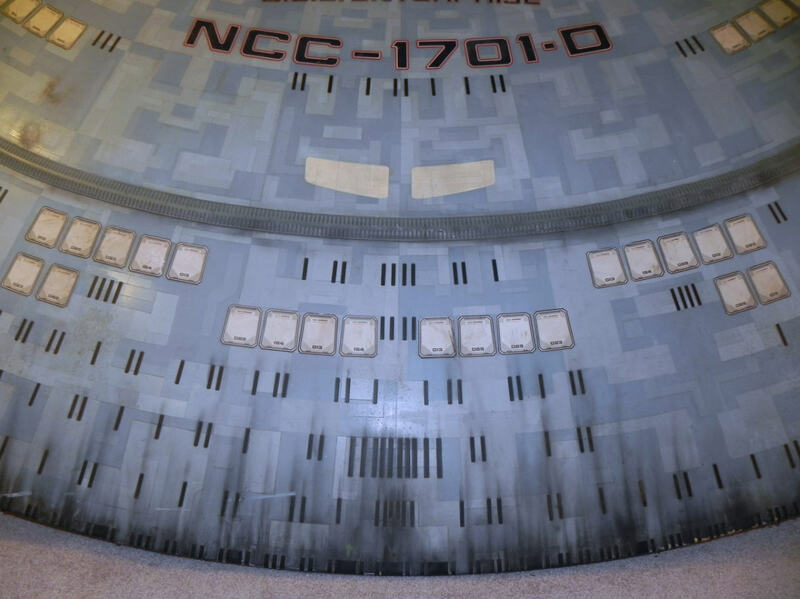 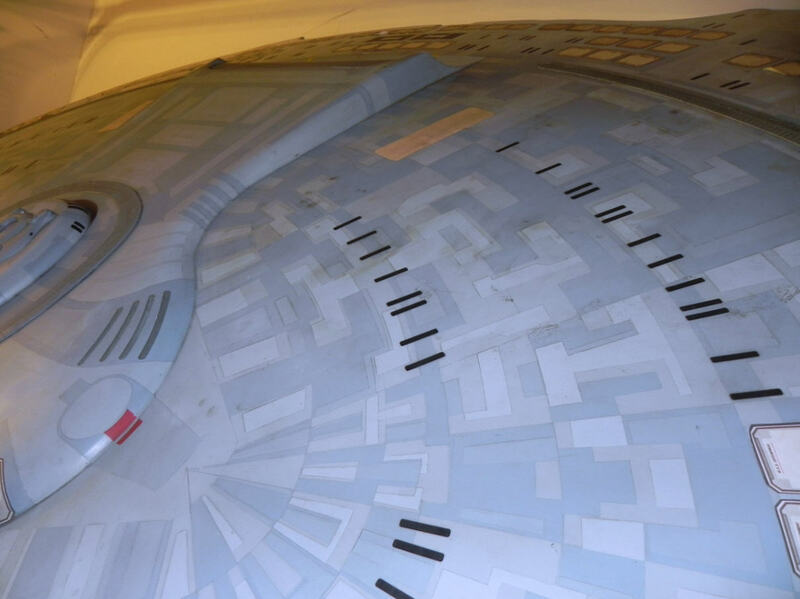 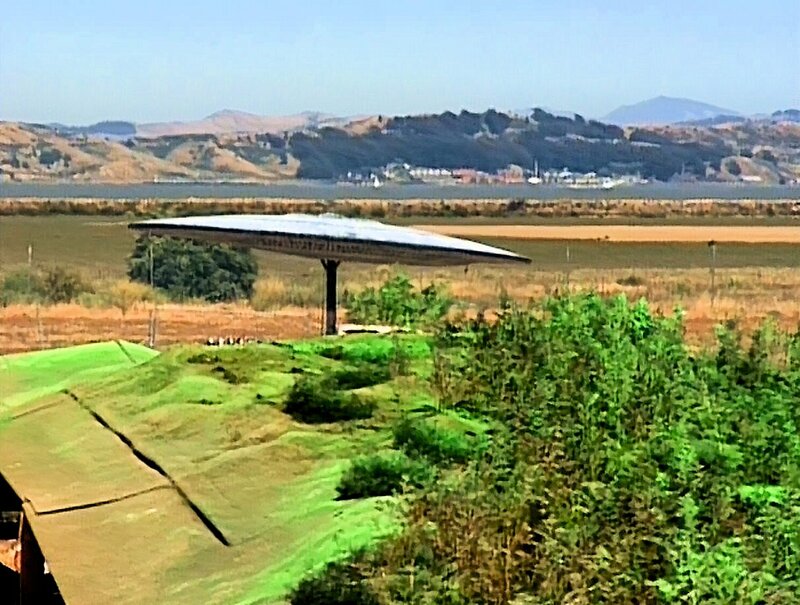 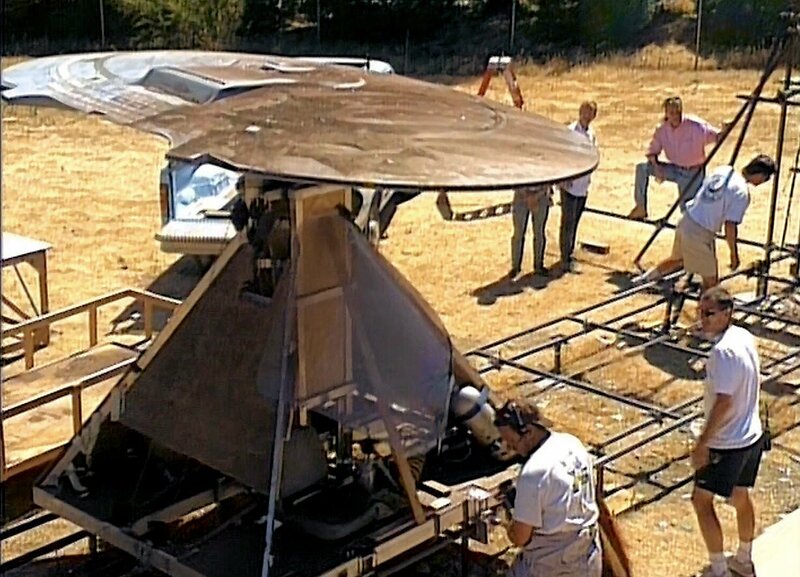 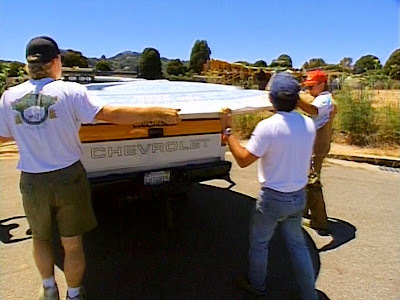 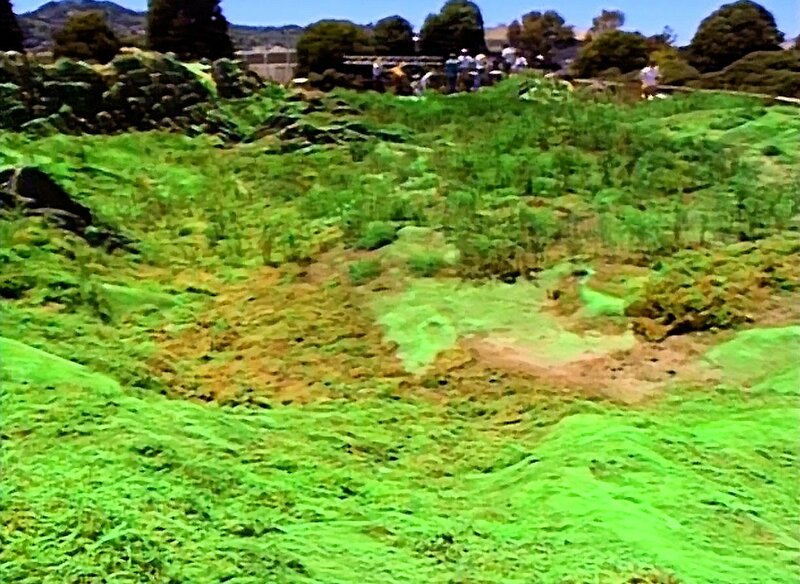 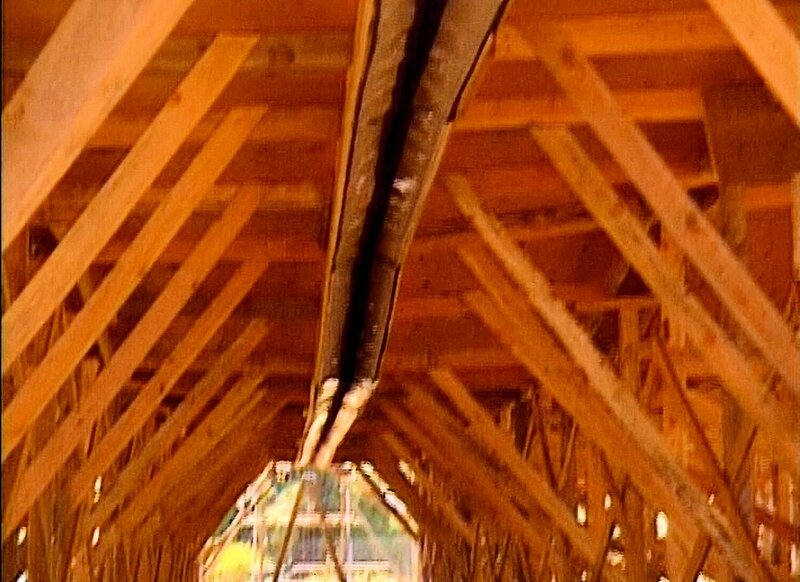 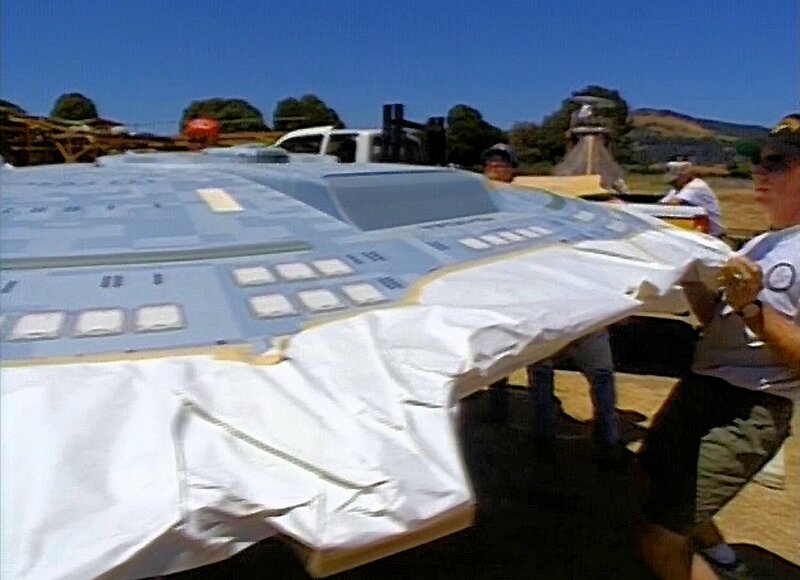 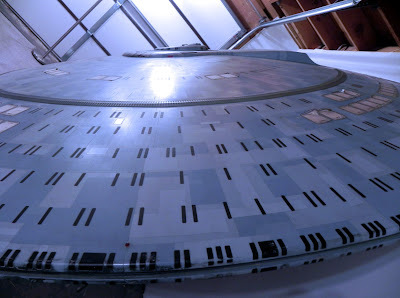 Measuring approximately 12' 1" long by 9' 10" wide, this is the largest filming model ever produced in the history of Star Trek. 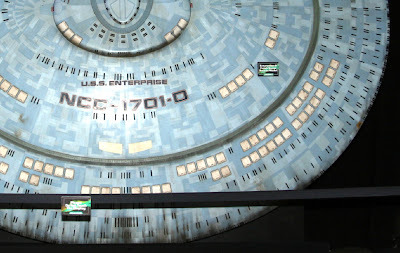 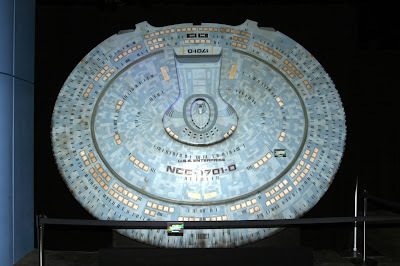 The Original Series Enterprise model on display at the Smithsonian measures approx. 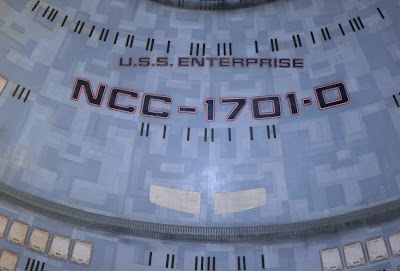 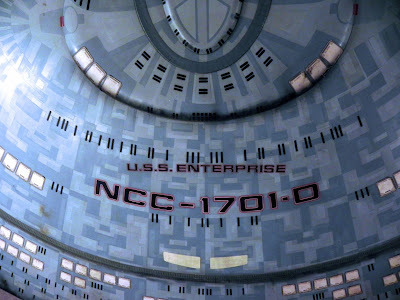 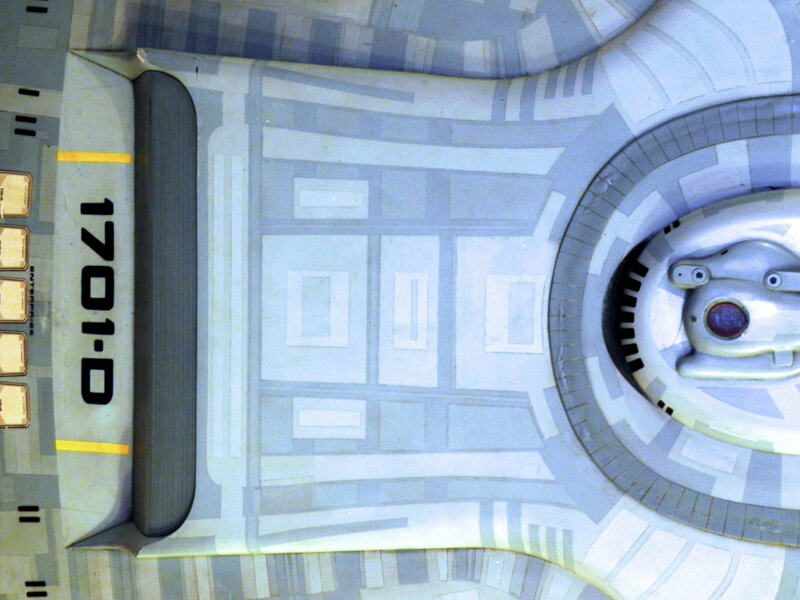 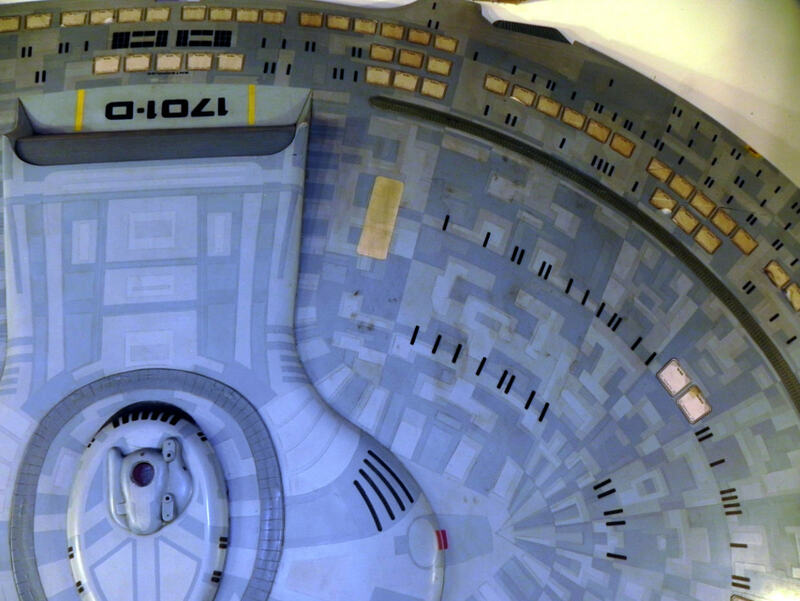 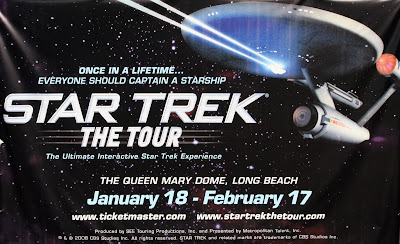 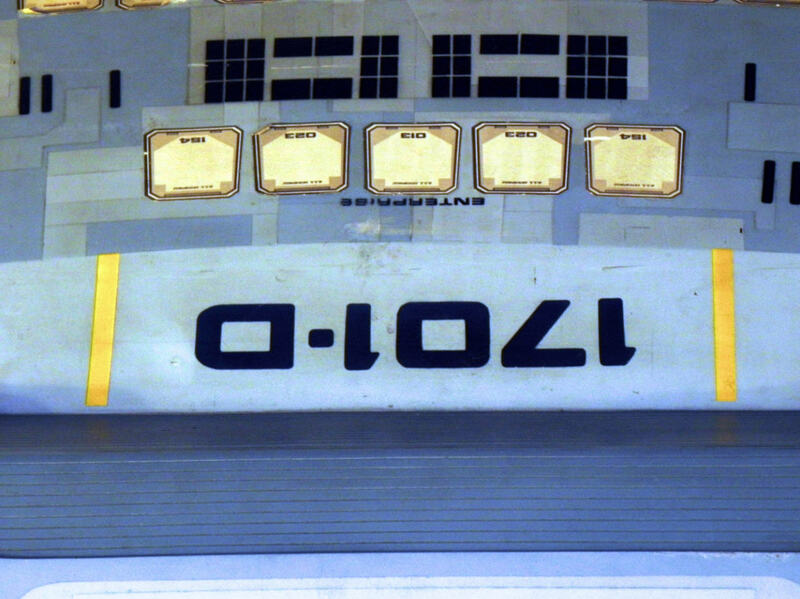 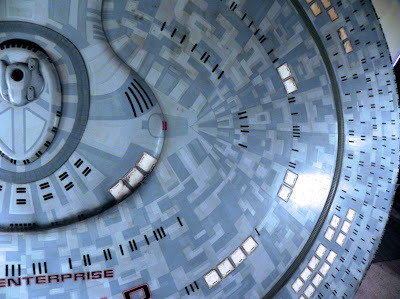 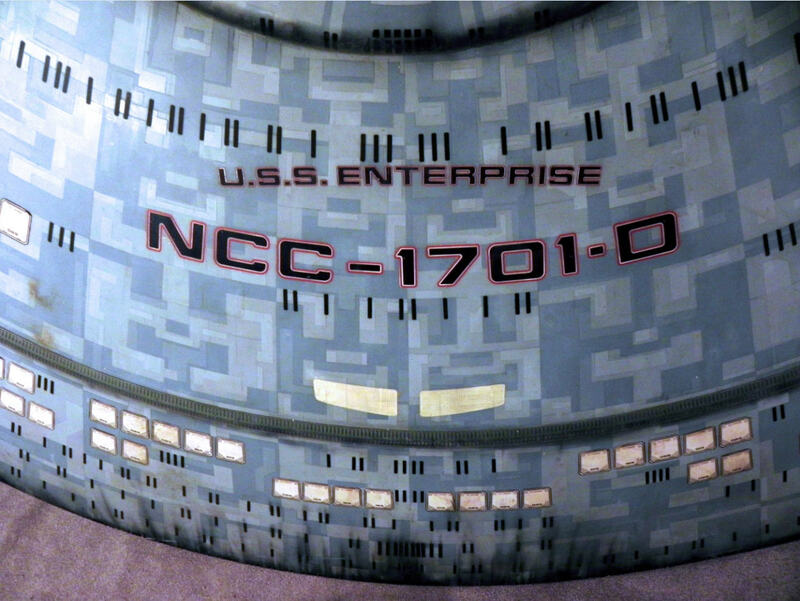 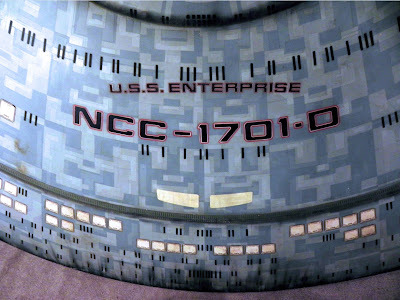 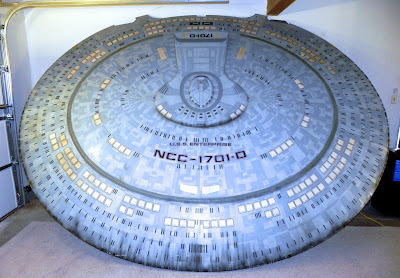 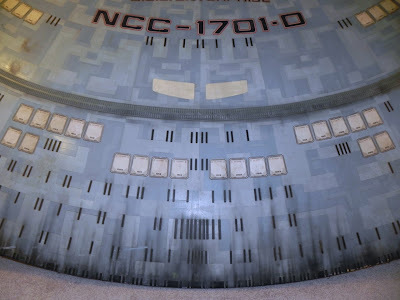 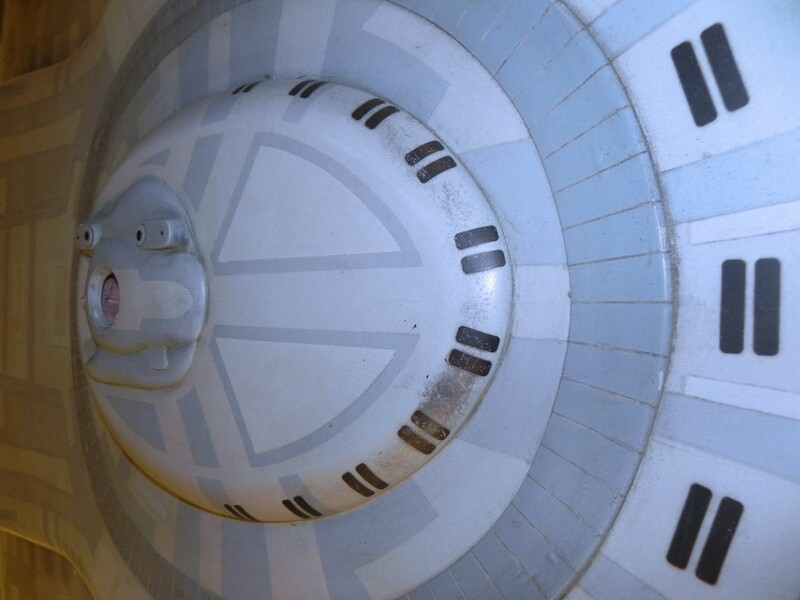 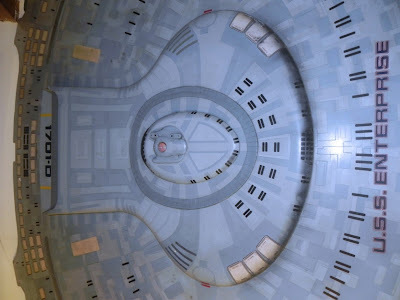 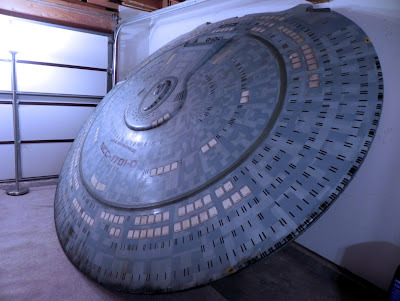 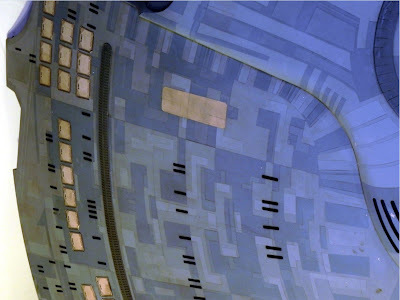 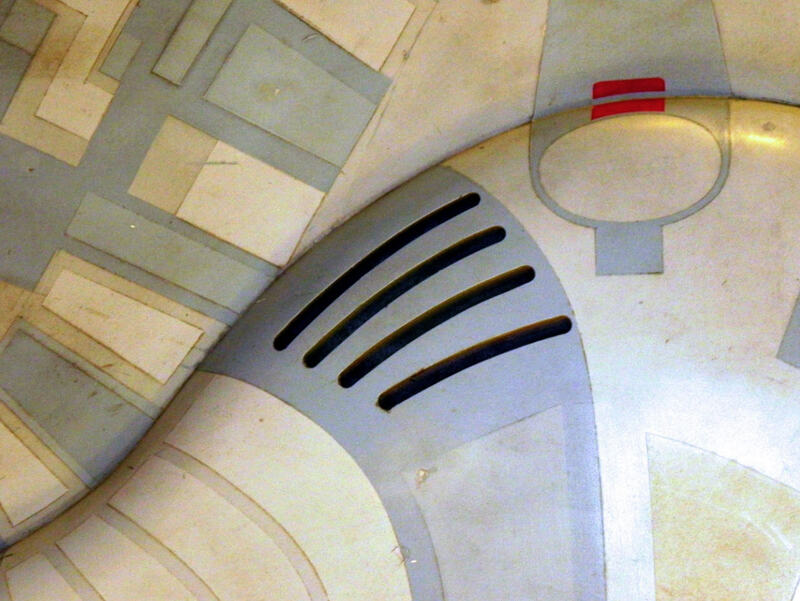 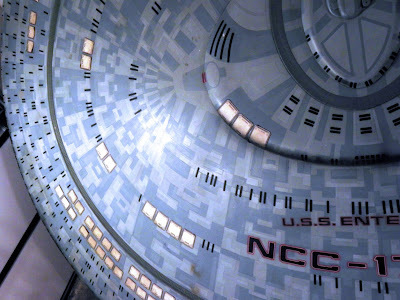 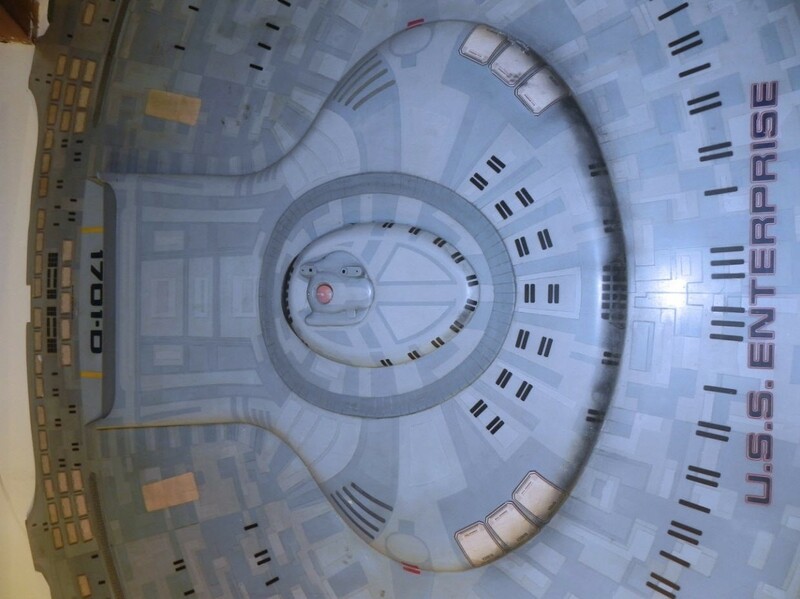 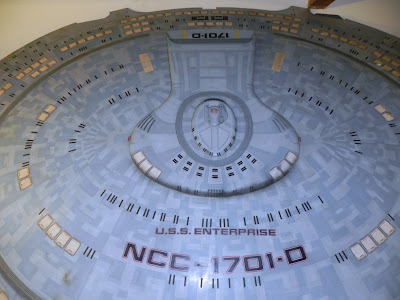 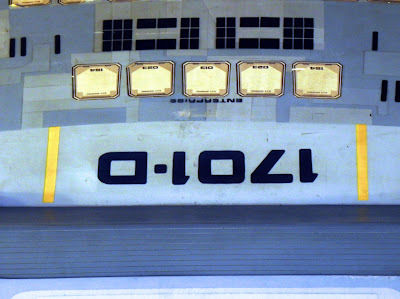 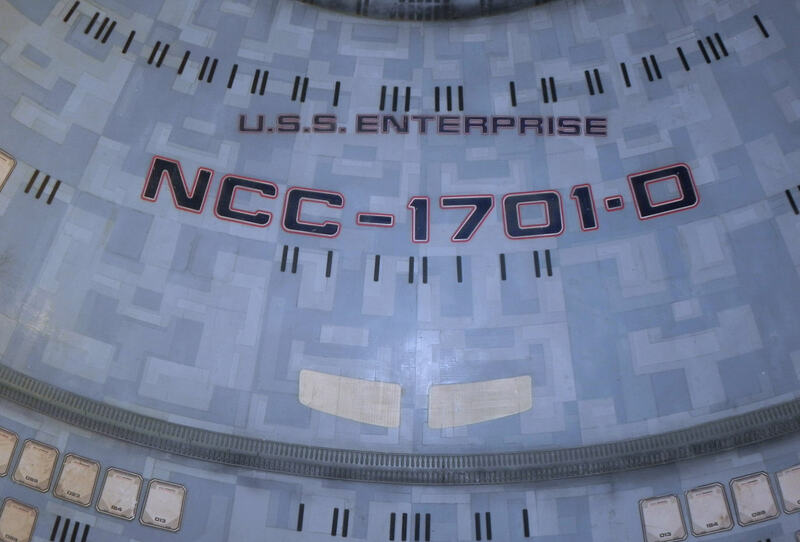 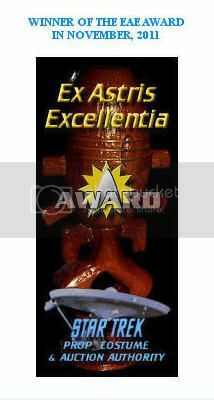 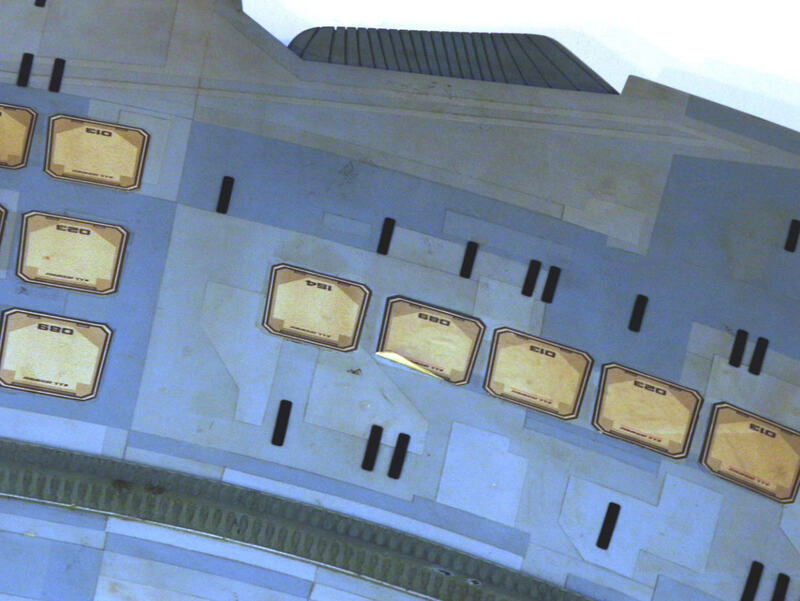 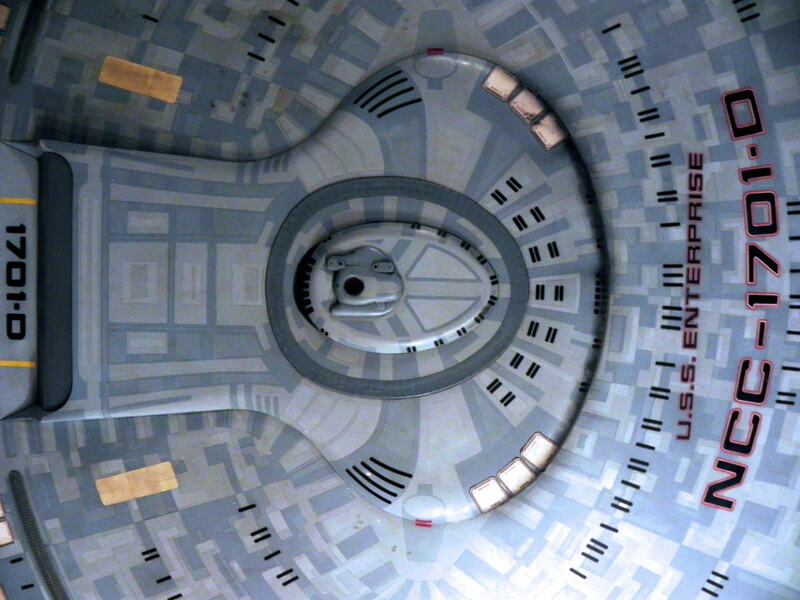 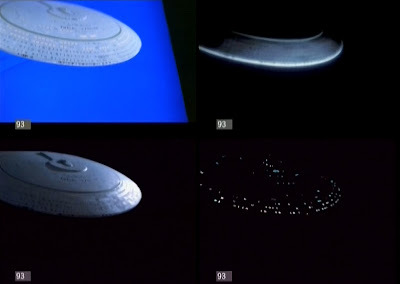 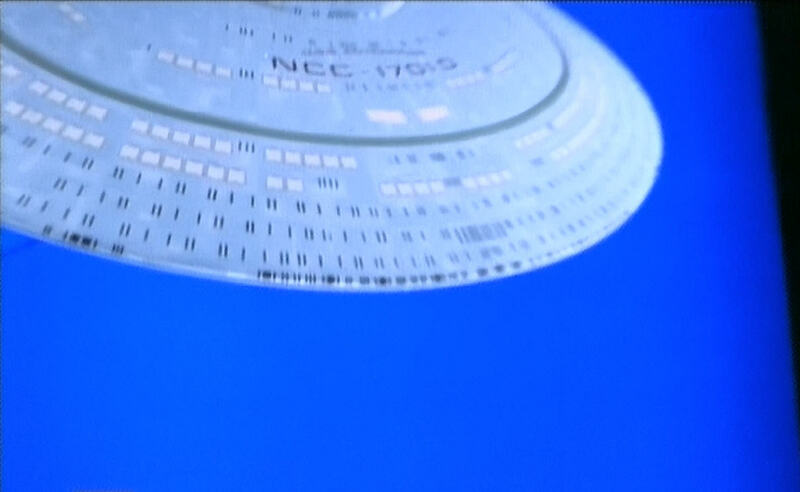 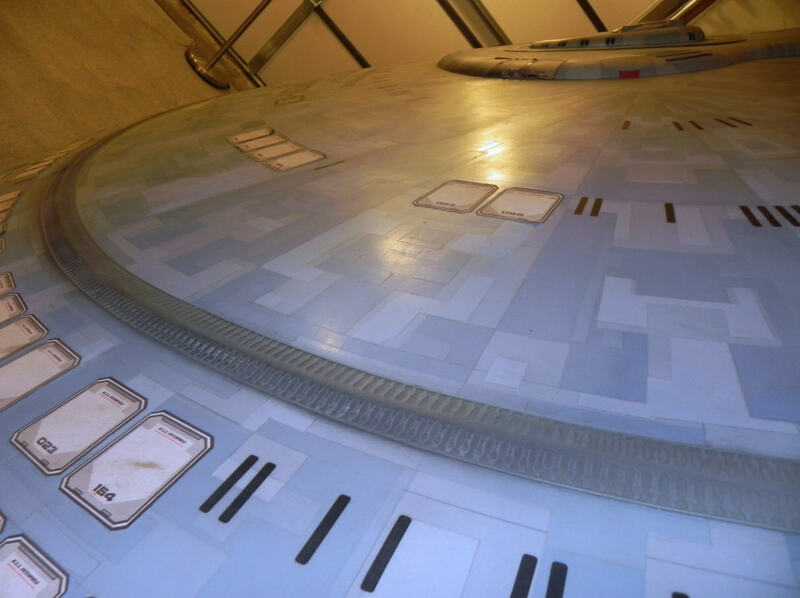 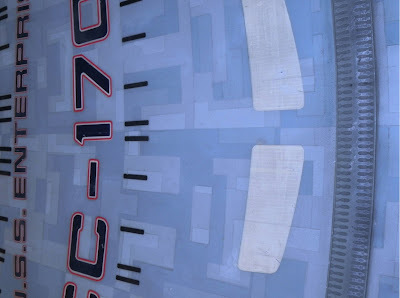 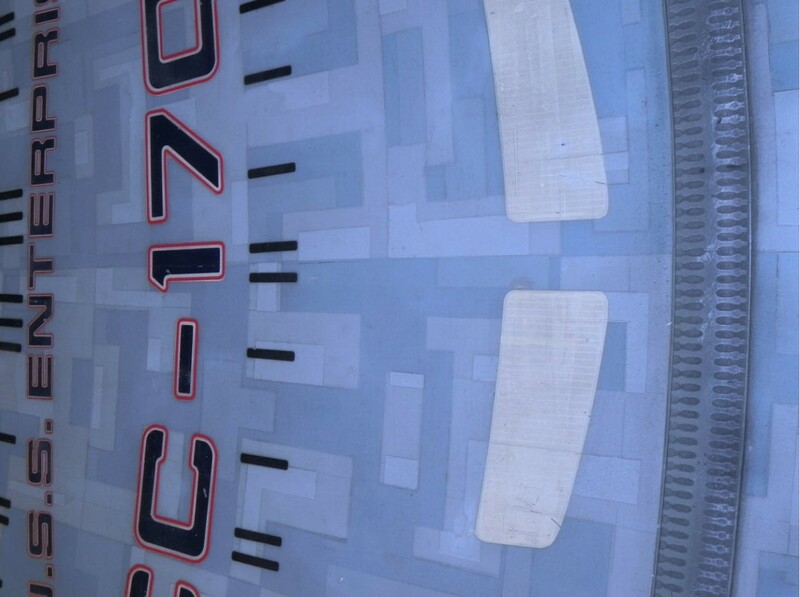 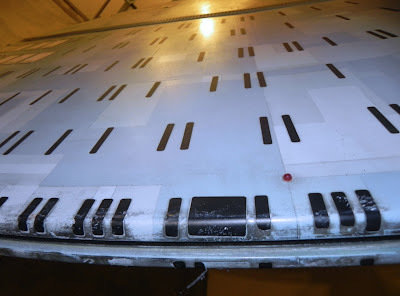 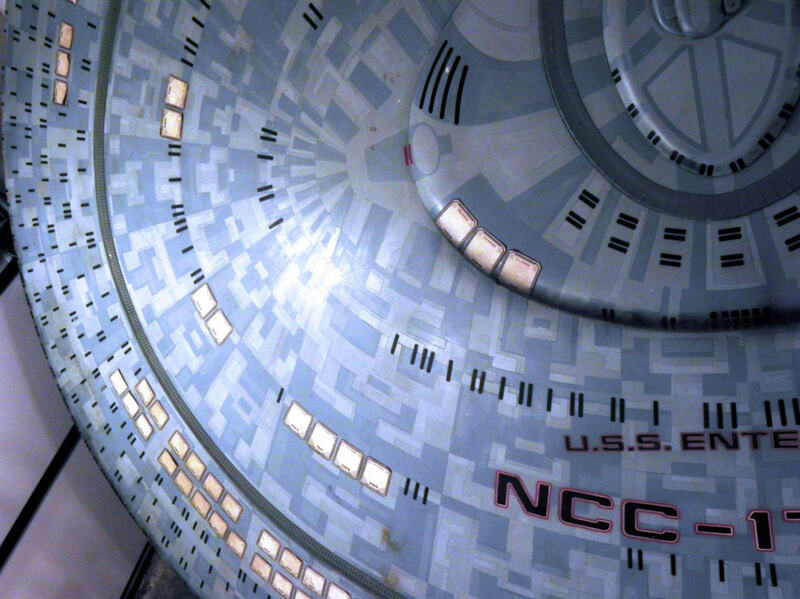 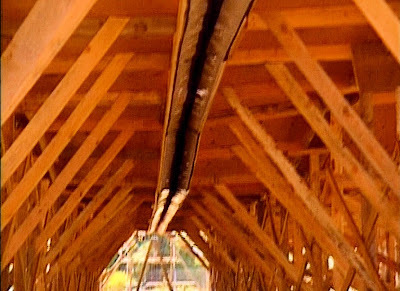 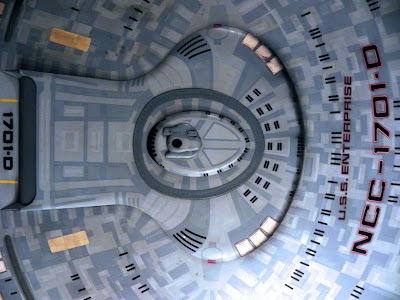 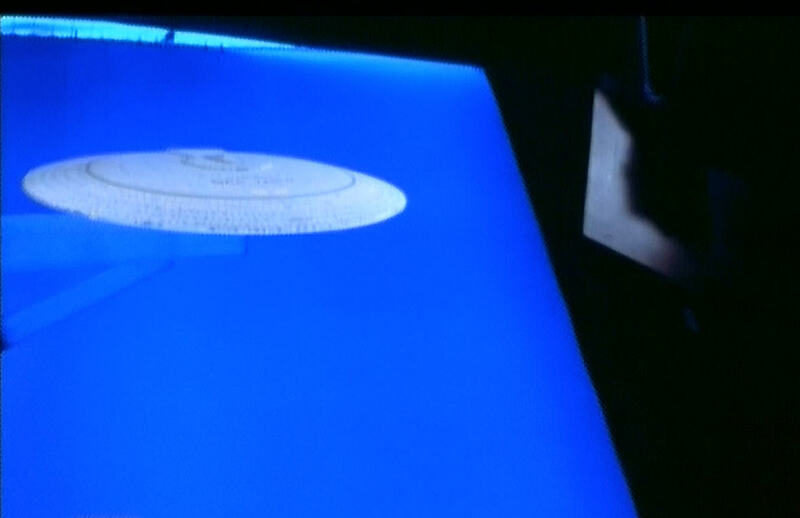 11' 2" in length; while the Enterprise D model used in the pilot and title sequences of TNG measures approx. 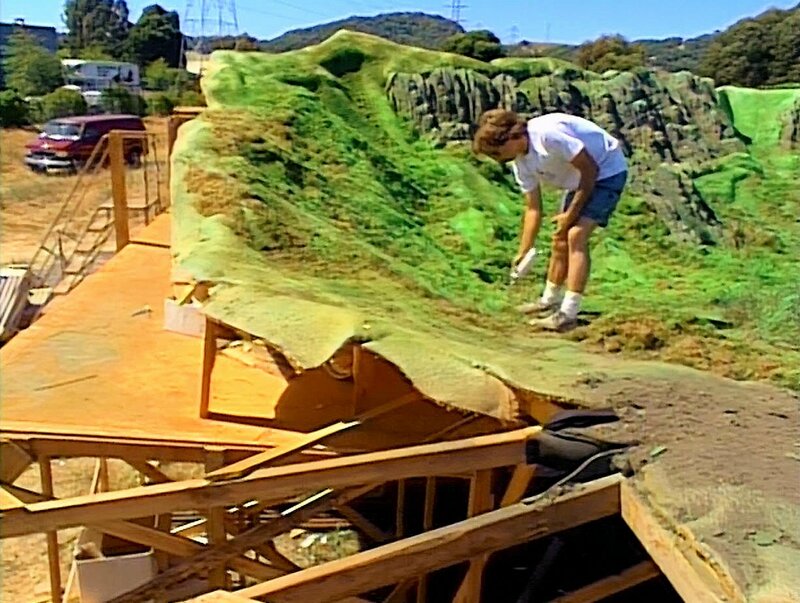 6' 6" in length. This saucer section is fabricated primarily of wood with a fiberglass outer shell and features an extraordinary level of artistic detail. 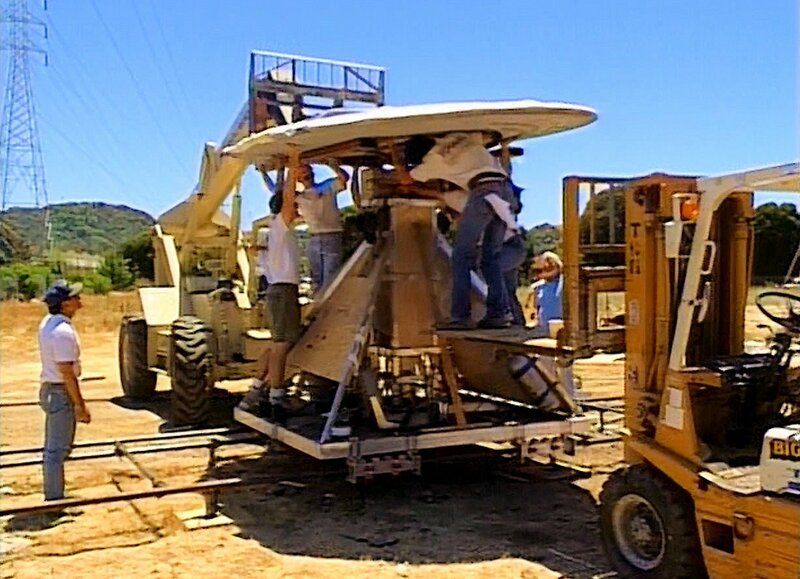 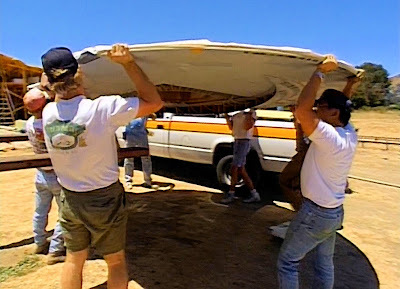 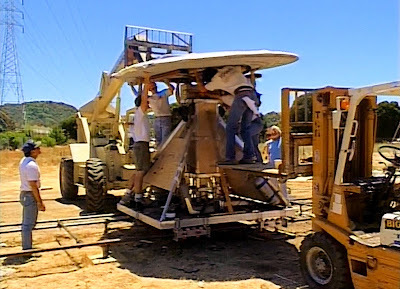 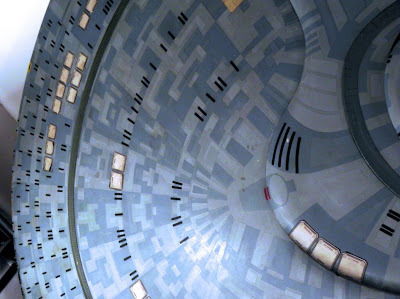 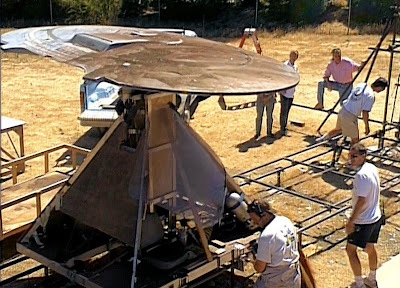 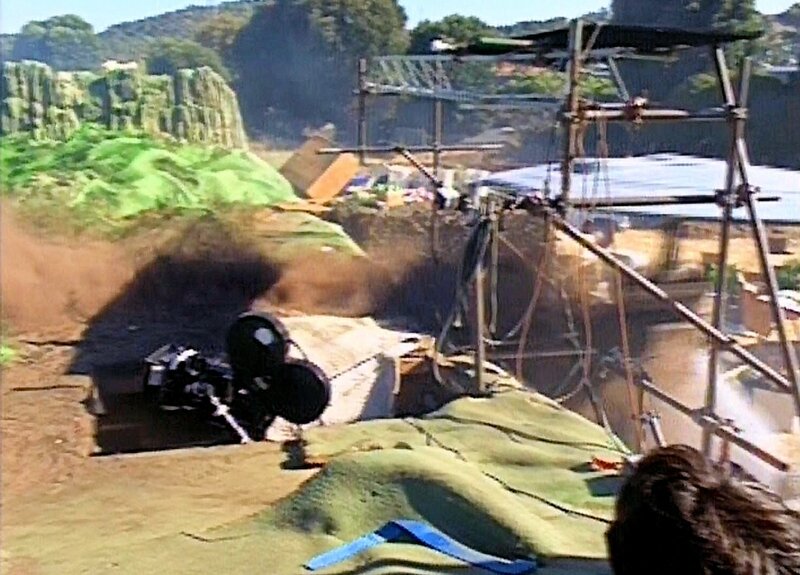 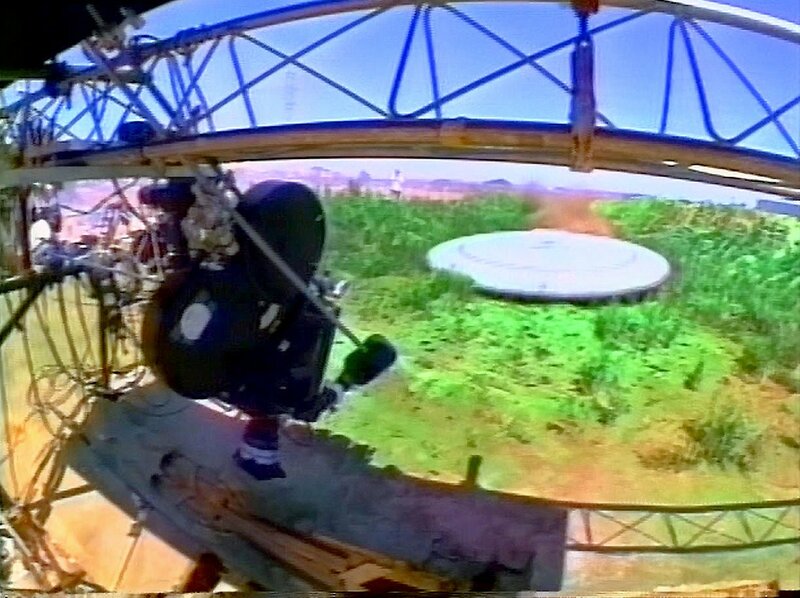 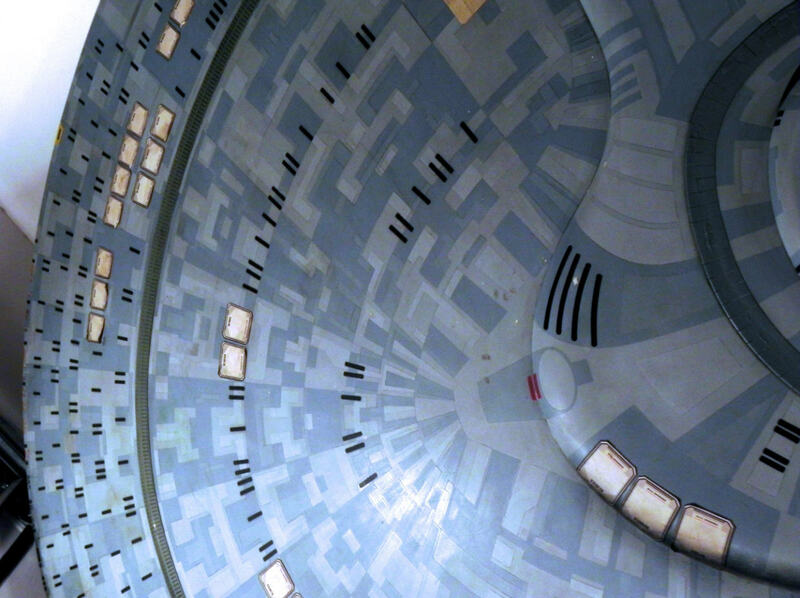 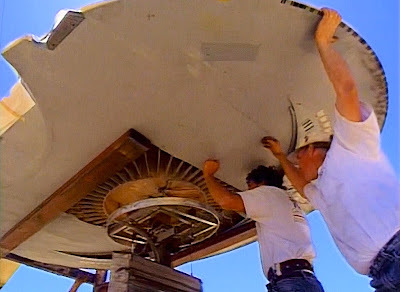 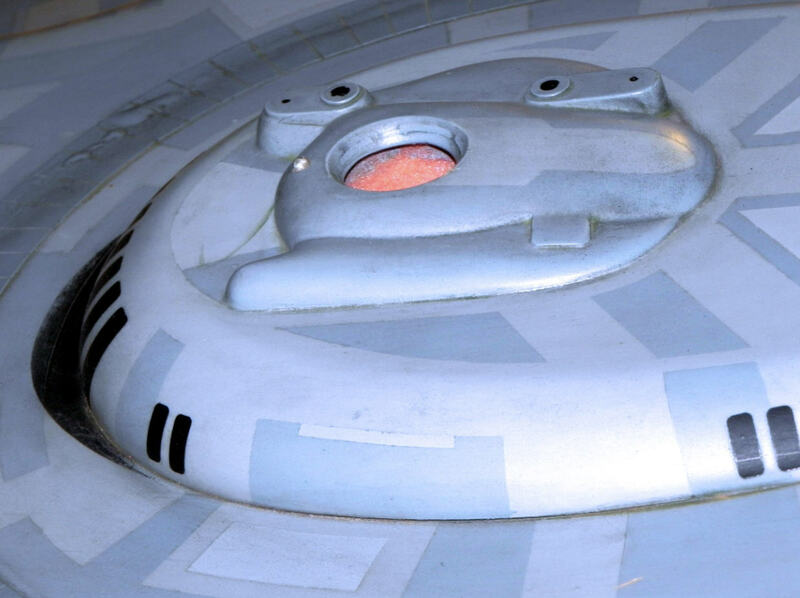 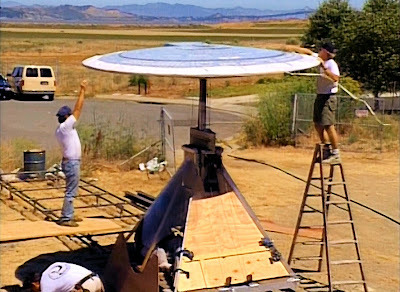 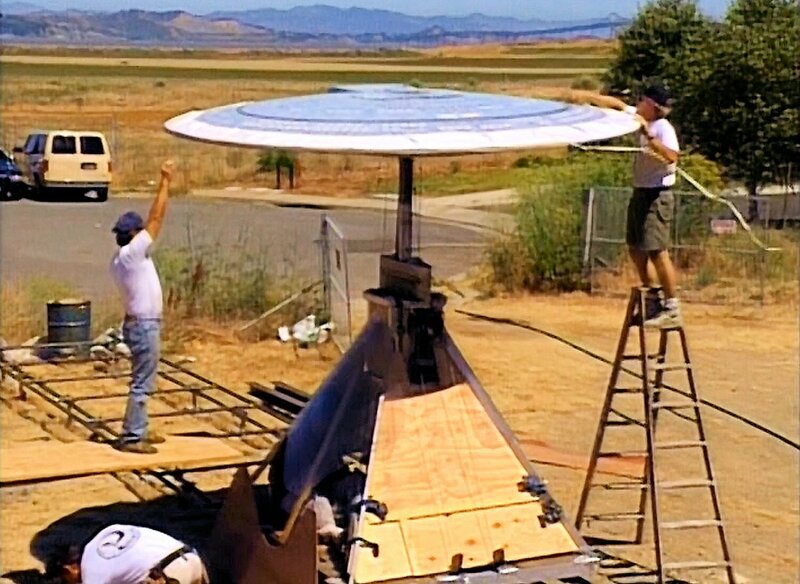 It was built with functional internal lighting and was mounted on a motion control model mover at ILM's studios and filmed against a blue screen background to create the scenes featuring the saucer hurdling through space and the planet's upper atmoshpere, and was then filmed being propelled on a hidden track across a 40' by 80' miniature landscape set of Veridian III to capture the final descent of the saucer through a lush, heavily forested terrain. 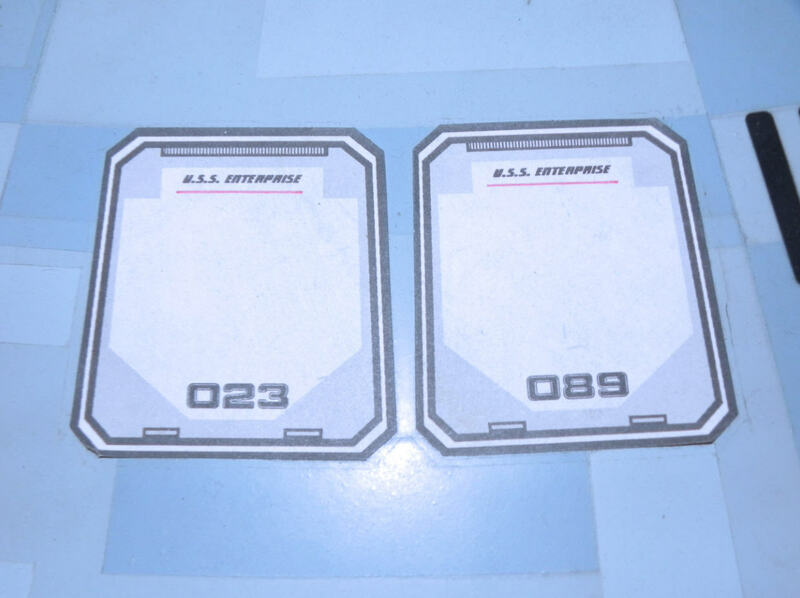 Special thanks are owed to Alec Peters, C.E.O. 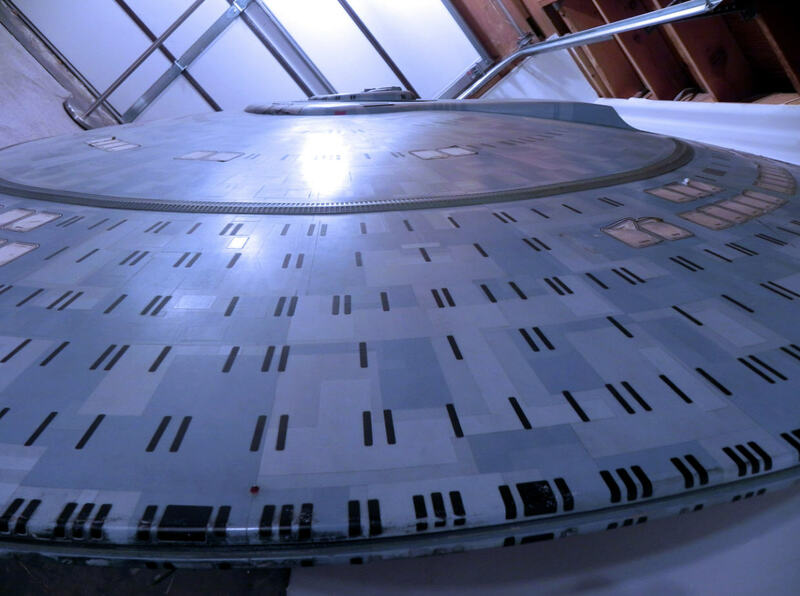 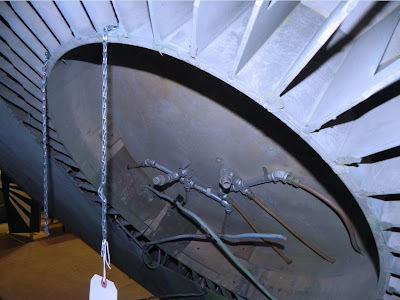 of Propworx, and Jarrod Hunt of Propworx for the outstanding assistance they provided throughout the acquisition process and the utmost care that was exercised to ensure the transportation of the filming model proceeded flawlessly.